Blocked Drain Burgess Hill, RH15? Need An Emergency Plumber In Burgess Hill? Need Drain Repair In Burgess Hill? Need A Drain Survey In Burgess Hill? Call DrainBoss 24 hours a day, 7 Days a week! Call Now: 01444 657789 or 07772 535248. As a Burgess Hill drain clearance company, we unblock drains, repair drains, unblock toilets, sinks, showers, leaky pipes in Burgess Hill, fast and professionally. Other drain services include water jetting, drain repairs and installations, CCTV surveys, and gutter cleaning for commercial and domestic clients. If you are a business or household and in need of an emergency plumber or have a blocked drain in Burgess Hill, DrainBoss is ready for your call! All our plumbers and drain cleaners are professionally trained, CRB registered, courteous and pay special attention to industry standard Health and safety on every project. 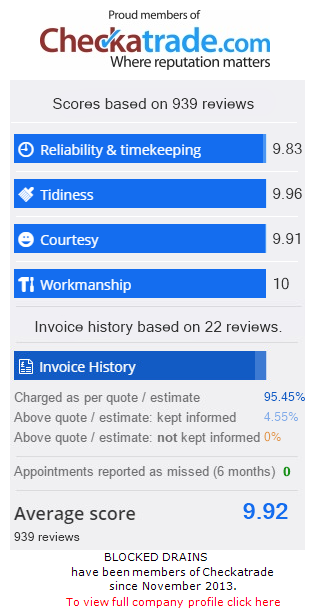 We are not a franchise so we can charge favourable rates without any third parties to pay and we do not charge a call-out fee to clear blocked drains, even on weekends, evenings & Bank Holidays! We work from a fixed rate sheet and all prices are agreed by you, the client, before we start work. In addition, all our work is guaranteed for 30 days and we keep regular communication with you throughout the drain clearance process, so you can buy with confidence knowing that the work we carry out is done to the highest standards following the latest industry regulations. Discover why DrainBoss is the preferred Drain Clearance company in Burgess Hill! Call now, if you have blocked drains: Burgess Hill. 01444 657789 or 07772 535248.